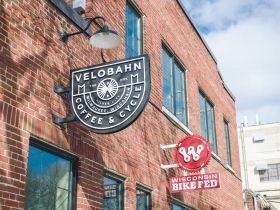 The building currently houses the Wisconsin Bike Fed, Velobahn Coffee and Team Sports, Inc. 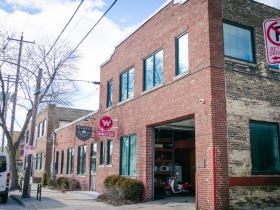 Pedal Milwaukee Building, 3618 W. Pierce St. Photo courtesy of Fyxation Bicycle Co.
Milwaukee, WI – March 16th, 2018 – Fyxation, a Milwaukee based bicycle company, is excited to announce their recent expansion with the acquisition of the Pedal Milwaukee Building at 3618 W. Pierce St. in Milwaukee’s Silver City neighborhood, adjacent to the Menomonee Valley. The co-founders of Fyxation, Ben and Nick Ginster, purchased the building through their newest venture, Next Session, LLC. Built in 1929, this 12,200 square foot classic cream city brick building is loaded with history and is conveniently located off the Hank Aaron Trail in Milwaukee’s Silver City neighborhood. Fyxation was founded in 2009 by the Ginster brothers and the first commercial space they ever leased was in this same building on Pierce Street. 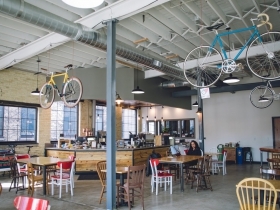 After leasing the space in Pedal Milwaukee for several years, Fyxation moved from the building in 2015 to start their retail operations in Riverwest. 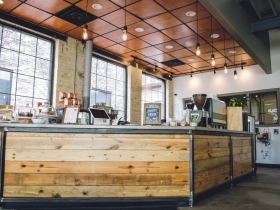 They will maintain their Riverwest retail location at 2943 N. Humboldt Blvd. 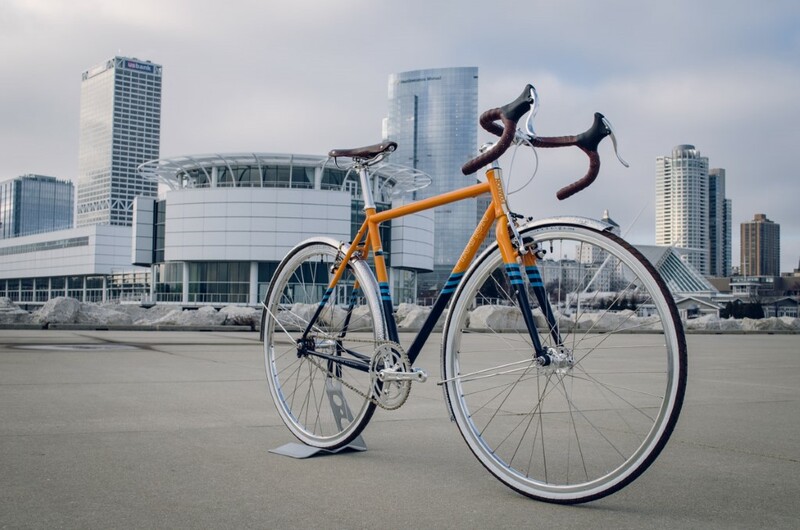 Pedal Milwaukee will help their rapidly expanding business to increase warehouse capacity, and serve as the home to Fyxation’s design center and corporate offices. 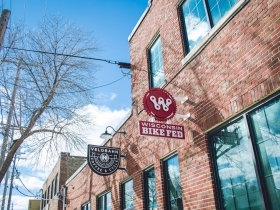 The Pedal Milwaukee building currently houses the Wisconsin Bike Fed, Velobahn Coffee and Team Sports, Inc, which is owned and managed by Tom Schuler, the previous owner of the Pedal Milwaukee building. 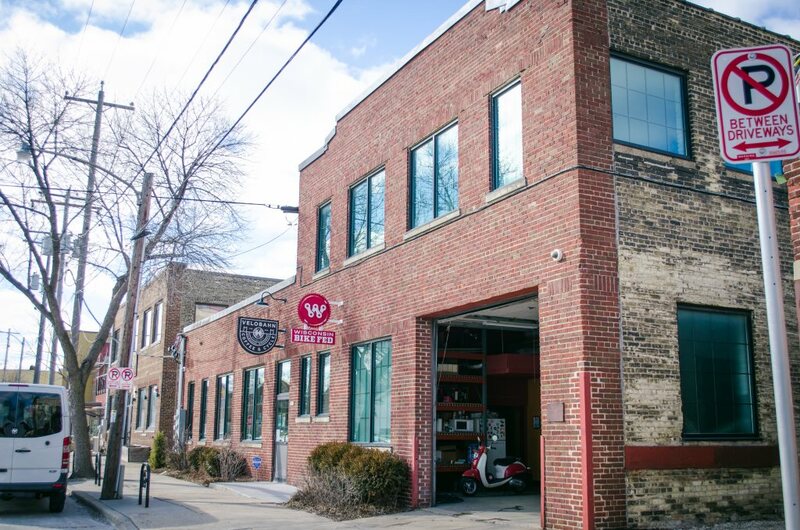 Schuler, a former Olympic cyclist and founding member of the 7-Eleven Cycling Team, purchased the building in 2011 and had always intended to make the building a hub for cycling related businesses here in Milwaukee. 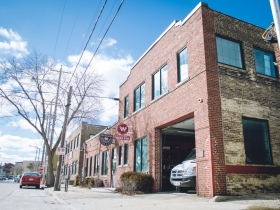 Fyxation intends to keep that vision for the building intact and plans to lease additional space to like minded businesses and companies that share in their vision of encouraging an active lifestyle that benefits Milwaukee and beyond. 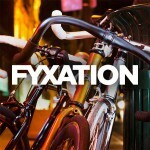 Fyxation was founded with a simple goal in mind. To bring riders pioneering bicycles and components made from the best materials at a fair price. We focus on design, durability and style. We are a team of engineers and riders that strive to combine our knowledge of design and cycling to bring to market innovative yet affordable urban bicycle equipment. For more information, please visit us on the web at http://www.fyxation.com. Buildings: 3618 W. Pierce St.
Fyxation plans to rotate the bike through different local venues throughout 2017.